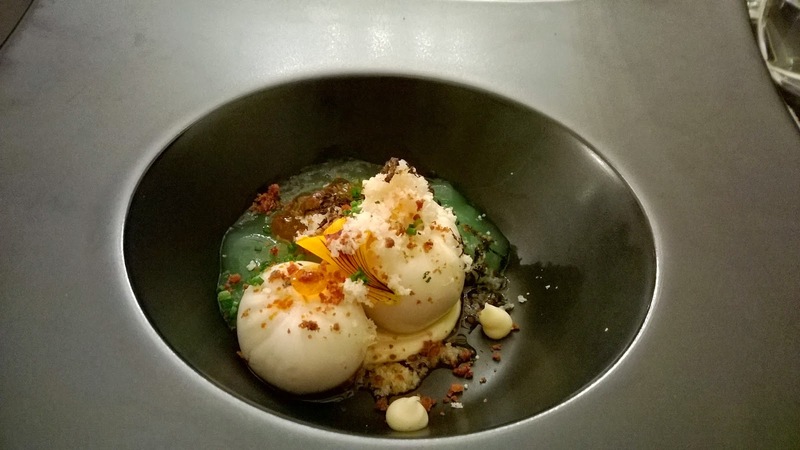 There is more to a dining experience than the food that is served, isn't there? How often haven't you heard travellers saying that they learned so much about a town or city through its food; about how they connected with people from a foreign culture by sitting down with them and trying their dishes? 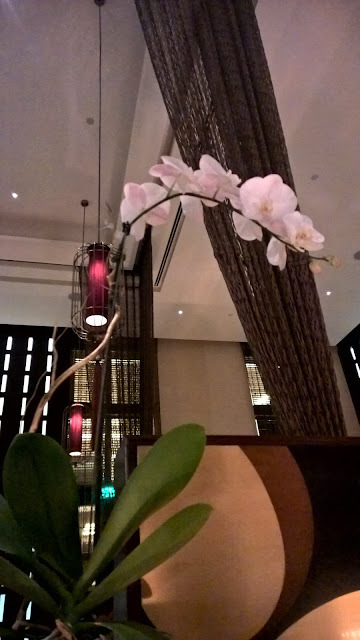 I arrived at Pachaylen, the Thai restaurant at The Eastern Mangroves Hotel by Anantara in Abu Dhabi with these thoughts floating through my mind. 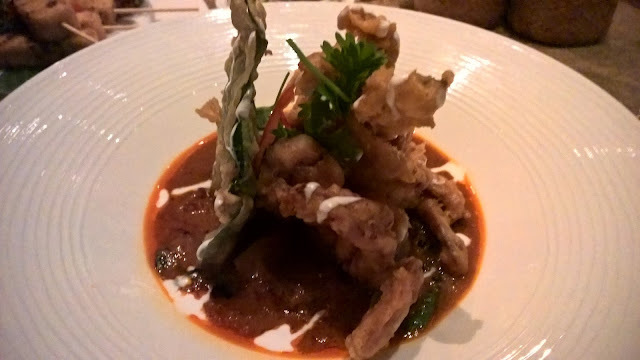 It is safe to say I had lofty expectations because Thai cuisine is one of those that that when served, becomes more than the ingredients. 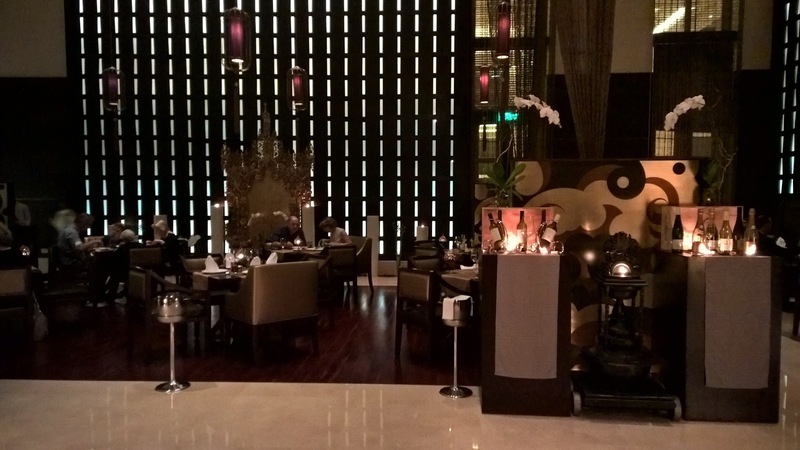 This visit to Pachaylen, Best South Asian Restaurant at the recent Timeout Abu Dhabi Awards, proved to me more than just a restaurant. It started the moment I was greeted at the door by the hostess, Paphada. I cannot emphasise enough the value of a hostess who commands your attention the moment she sees you. It is more than a striking appearance. It goes much deeper than the uniform that forms an integral part of the restaurant's concept. Or her manner of engaging you in those first simple words. "Good evening, and welcome..." It is all of these. On my arriva, she l led me to a shrine-like feature at the restaurant's entrance and explained to me the significance of washing my hands in the Thai tradition, as she poured water over my hands. My thoughts drifted back to my 3 nights in Bangkok enroute to Burma this past Summer and the many temples I had visited then and on previous visits. In less than a minute, she had created a connection that for me was filled with spiritual significance. She also tapped into emotions of joy and discovery. Again, all in the space of a minute. That there, is the invaluable commodity that is a hostess. There was more though. 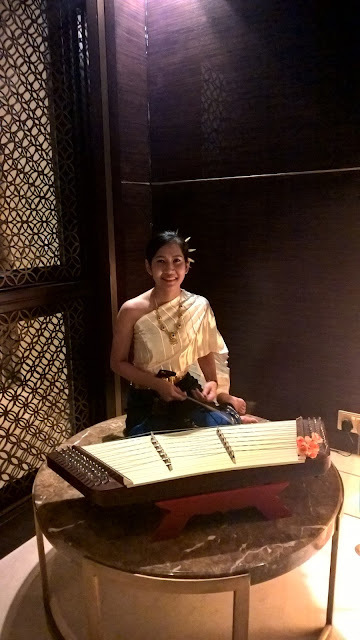 As I was guided to my seat, it was the hauntingly beautiful sounds of the khim, a traditional string Thai musical instrument that arrested me. The player, Supada, herself the embodiment of calmness and tranquility, effortlessly created music with so much feeling that I had to pause for a moment and just take it all in. My cultural journey continued. After being seated, shown the menu and offered drinks, my cultural experience reached its zenith as I was served the Miang kham, a one bite appetiser as delicious as it was theatrical and culturally rich. My waiter, Amoranchai, was a big part of why this ritual was such a success. 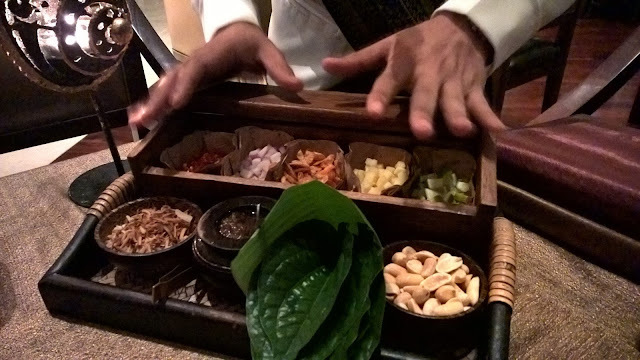 He methodically and confidently explained the process of wrapping ingredients in a betel leaf: dry coconut, chili, onion, dried shrimp, ginger, peanuts, lemon and coconut again, but as a sauce. A definite highlight. This came through on two levels. Firstly, Pachaylen boasts an all Thai staff, on the floor and in the kitchen, the only Thai restaurant in the city with this distinction. Does it matter? Of course. 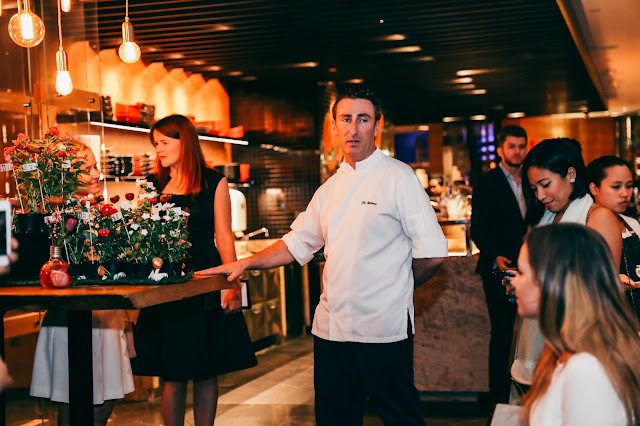 There are too many restaurants in general in the city where HR policies or convenience or salary issues rob diners of an authentic experience at least in terms of staff. Food is important in creating an authentic experience. Decor is obviously crucial too. But I would choose Thai staff as the most essential element in creating a taste of Thailand. I had the pleasure of interacting with a number of staff, including Chef de Cuisine Sakphon, who is all heart and soul, and after meeting him, I can understand why Thailand is referred to as the Land of smiles! Secondly, the dishes. Rather than the classic Tom yam kung, I opted for the Tom kha hed raum, a coconut milk-based soup with a memorable aroma and sublime flavours. 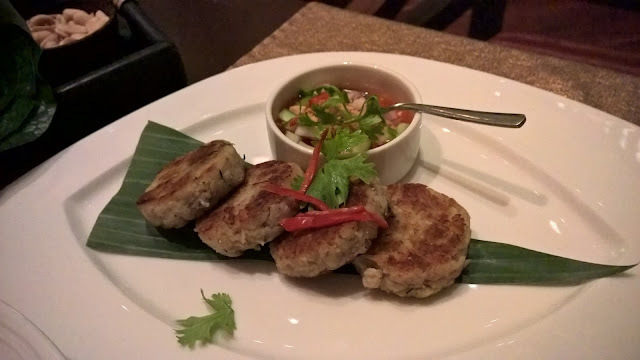 Lemongrass, chili oil and coriander provide the palate pleasers while chunky mushrooms pieces add texture. A delicious soup, and a very good alternative to the tom yam kung. 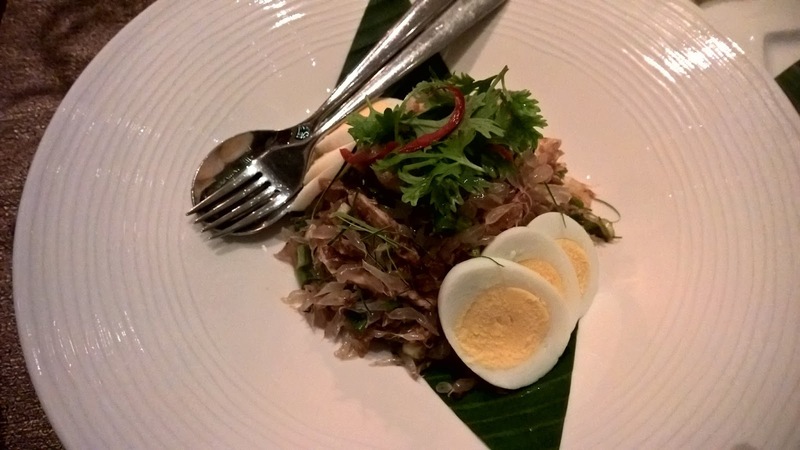 Finally, rounding off the starters, I had the Yum son o, or Pomelo salad to you and me. It was both sweet and sour, but it was the wonderful feeling of the pomelo pieces in on my tongue that delighted. Also, crispy shallots, sweet tamarind and crunchy prawns and boiled egg to balance out the sweetness of the tamarind made it a salad worth having again, and again. On a side note, a sign that my journey felt authentic was when I noticed myself using a spoon and fork to eat, Thai style! 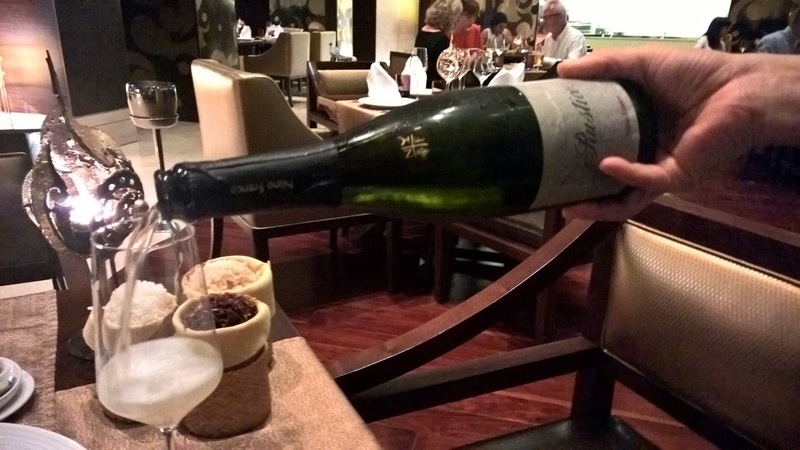 For my drink, I had the Nino Franco Rustico Prosseco, part of a a wine list that boasts a wide selection of by-the-glass choices, including a Meerlust Merlot! However, there are a number of full bottle options at great prices, hence my choice for the night. Furthermore, Prosecco goes really well with the spicy elements of Thai food. It is a little fruitier than champagne, making it a better choice as far as bubbles go. Recommended! I could think of no better way to end my evening than with the Khao Niaow Ma Muang, or Mango sticky rice. 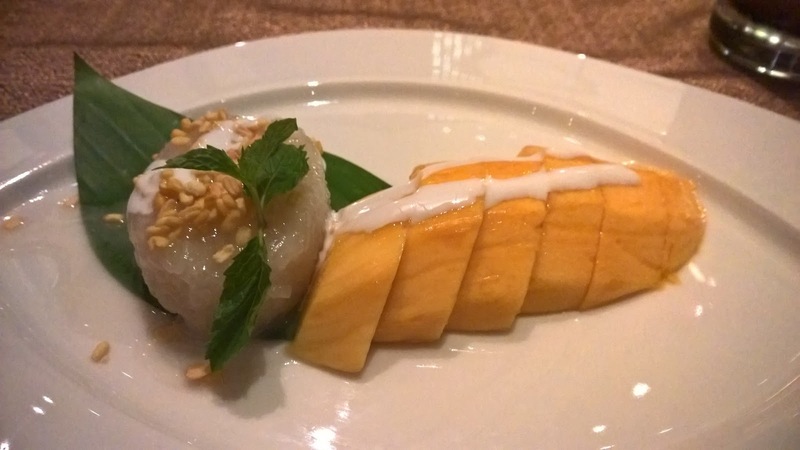 Between the perfectly textured rice and the sweetness of the mango, it was this dessert that completed my journey to Thailand. I would gladly visit the restaurant for it if this were all they served. My dining experience was as close to perfect as a night could get. Everything just fell into place. The evening was more than just about excellent dishes. It was a tapestry of culture, that was both colourful and multi textured. The restaurant, exquisitely decorated with heavy but tasteful Thai touches, will serve as a reminder of the beauty of Thai culture and will either inspire you to revisit Thailand, or if you have never been, influence your next holiday destination planning. 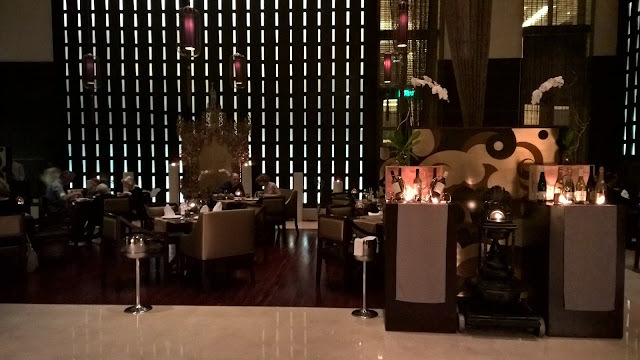 Disclaimer: I visited Pachaylen at Eastern Mangroves by Anantara courtesy of the hotel.